Keeping in line with our original idea of >>ENTER<< putting on free partys in our home city. csGASRecords label has now established itself as a forward thinking creative and aspiring imprint. This independent record label specializes in all aspects of Techno & electronic music and is regarded as a key players in underground House and Techno. Enter is the brainchild of two Dj's, Chrisso (Sound Supply) Blackwell & Paul (Catchymunki), With a collectively shared passion for all that is fresh, inspiring, and above all "diffrent" with influences drawn from the early days of detriot techno spanning through to the sounds that were introduced to us from places like Chicago & Berlin, Enter focus on the more deeper & darker and not so comercial side of techno and electronic music. So of course csGAS were more than happy to throw down for the Enter collective and play Guest at what is fast becoming one of birminghams most talked about partys on its underground circuit. On The night Dark Chambers is joined by another label artists "Uluru" who has a specially programed techno set that he is tweaking just for this party. So if you want to catch this FREE' party Join us csGAS On the 08th October early doors is definately reccomended. 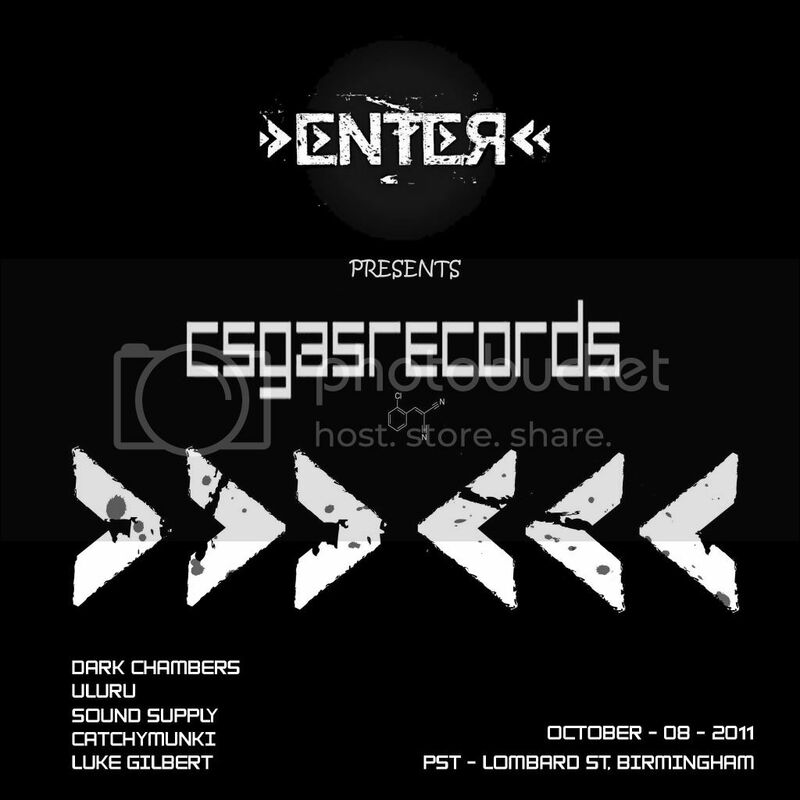 ENTER and csGASRecords welcomes you.